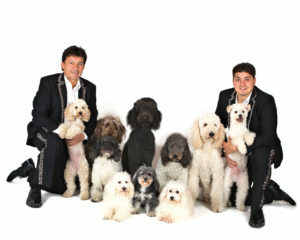 Nicholas, who takes to the stage with his father in their Olate Dogs show, also performs on his own juggling and singing. 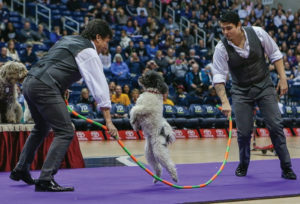 But it’s the interactions with the dogs that really made the family well-known after becoming winners of the seventh season of America’s Got Talent. If you’ve seen their act, you get instantly why they beat out all other competitors. The Olate Dogs do everything from riding a scooter to performing a mind-bowing back flip. Nicholas says he is grateful for the compliments, but the real work, he says, is put in by his father Richard and the dogs themselves. Nicholas says he has loved his life growing up with so many dogs. “I tell people I have a lot of brothers and sisters,” he laughs before turning more serious. The family has also experienced their fair share of all-eyes-on-them bloopers. 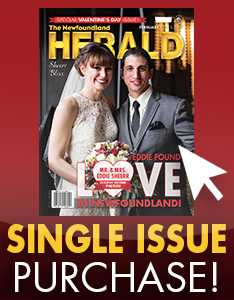 “Many times things have gone completely wrong,” he shares. Like the time the family brought in a new breed of dog into the fold; Wire Fox Terriers. A long time ago, someone asked what his favourite thing about performing was. His answer used to be very different than what it is today. And the dogs are happy too. 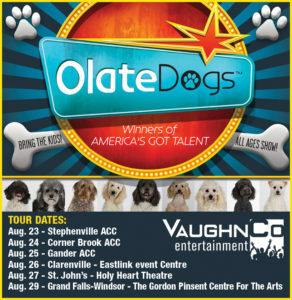 Visit olatedogs.com for tickets and more information!